Makhani sauce, as the name suggests is a sauce made in makkhan (butter). It is a delicately flavoured sauce which has a taste of tomatoes, aromatic spices, butter and cream. It’s a rich gravy, loaded with calories but extremely flavourful and very popular. One can find it dominating the menu cards of any Indian Restaurant serving North Indian Food. As a child it was my favourite and now it is my kid’s. I make both the low and high calorie version of it but here I’m sharing the high calorie version. If you want to try a low calorie version, check here. 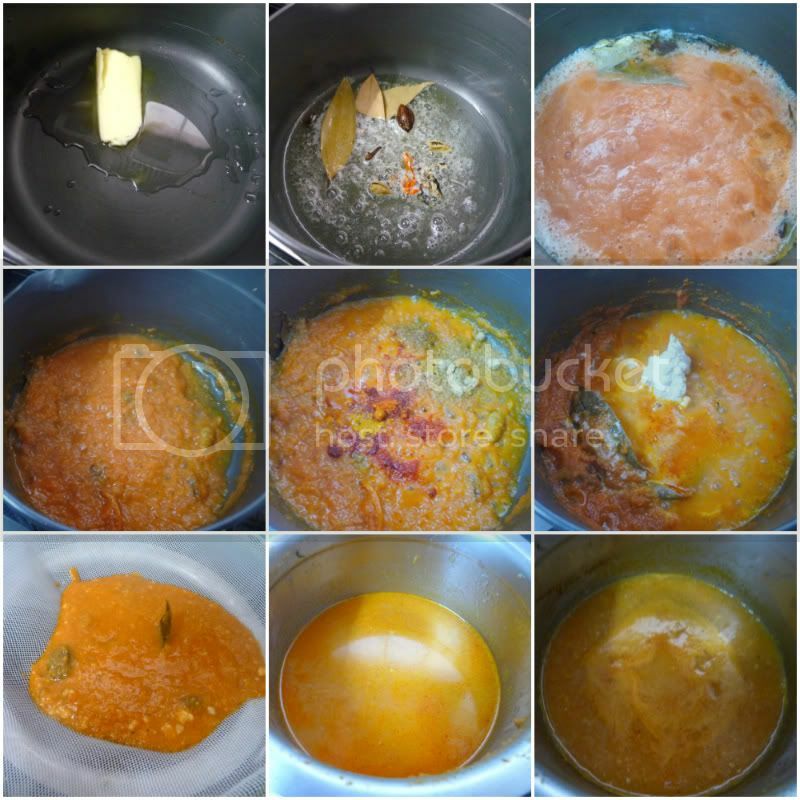 This sauce is popularly used to make paneer (paneer makhani), dal (dal makhani), vegetables (veg makhani). One can check out my innovation with this sauce here. 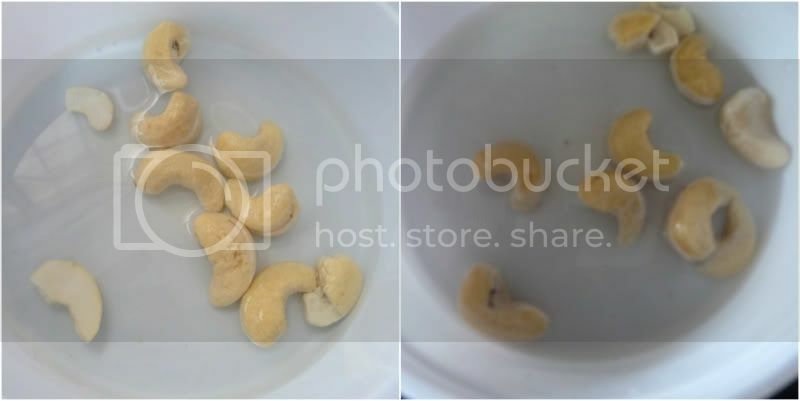 Soak the cashew nuts in warm water for half an hour and grind to make a smooth paste. 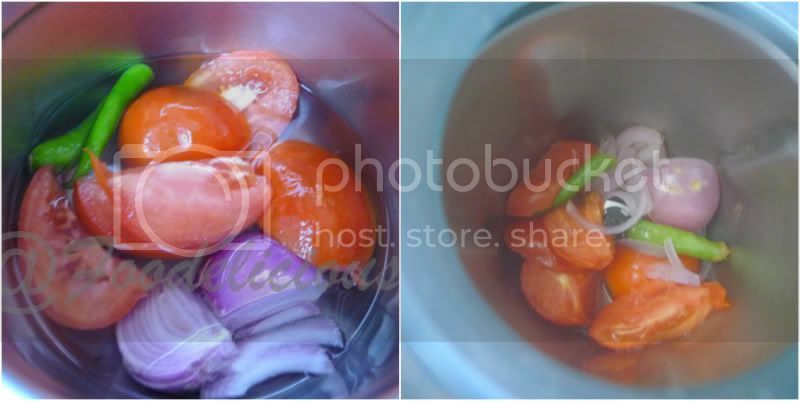 Boil onion, tomatoes and green chilli together. Cool and grind to a smooth paste. Mix butter and oil together in a pan and heat them. Add all the whole spices and sauté on low flame. This allows the spices to release their oils in the oil. Add the cooked onion-tomato-chilli paste. Add the coriander, red chilli, turmeric powders and mix. Add the cashew nut paste, mix and cook. Pass the cooked gravy through a mesh to remove the whole spices and to get a smooth textured gravy. Add half cup water to the gravy and bring it to a boil. Switch off flame and mix the cream (leave half a spoon for garnishing). The makhani gravy is ready. Sprinkle the kasoori methi and use. Gravy looks yummy and creamy, colour of the gravy looks great. Thanks for sharing this beautiful creamy gravy, love to add some paneer cubes in it. One of my fav gravies, I make it creamier with more cream :)) Fingerlicking good! Looks so creamy and super rich!!! bookmarking it!! !